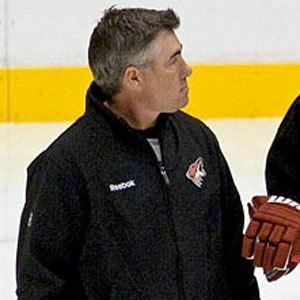 NHL head coach who won the Jack Adams award for the NHL's top coach in 2010 for the Phoenix Coyotes. He played in the NHL from 1984 to 1994 for the Hartford Whalers, Pittsburgh Penguins, Philadelphia Flyers and Washington Capitals. He received his first NHL head coaching job with the Dallas Stars and he coached the team from 2002 to 2009. He has two daughters, Nicole and Natalie, with his wife Wendy. He coached star center Mike Modano on the Stars from 2002 to 2009.